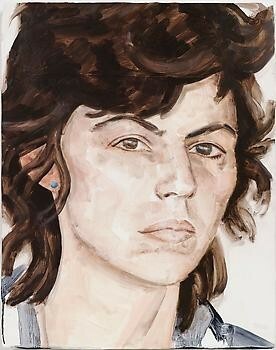 Elizabeth Peyton was born in Connecticut in 1965. 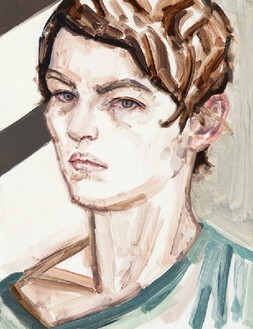 She studied at the School of Visual Arts, New York. Her work is collected by leading museums including Musée national d’art moderne de la ville de Paris, Centre Georges Pompidou, Paris; Kunstmuseum, Wolfsburg; Museum für Gegenwartskunst, Basel; Museum of Fine Arts, Boston; Museum of Modern Art, New York; Whitney Museum of American Art, New York; San Francisco Museum of Modern Art; Seattle Art Museum; and Walker Art Center, Minneapolis. Recent solo exhibitions include “Live Forever,” New Museum of Contemporary Art (2008, traveled to Walker Art Center, Minneapolis, Whitechapel Art Gallery, London, and Bonnefanten Museum, Maastricht, Holland in 2009); “Reading and Writing,” Irish Museum of Modern Art (2009); “Wagner” at the Gallery Met, New York (2011) and “Ghost: Elizabeth Peyton,” presented concurrently at the Mildred Lane Kemper Art Museum and the Opelvillen in Rüsselsheim, Germany (2011). 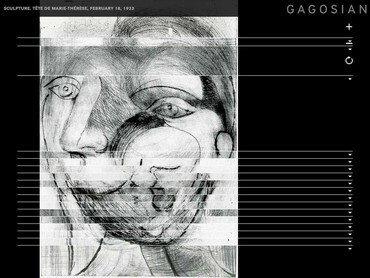 Gagosian announces the release of issue 2 of the Gagosian App for iPad on September 22, 2011. Artists featured in this issue include Cecily Brown, John Chamberlain, Douglas Gordon, Arshile Gorky, Joel Morrison, Takashi Murakami, Elizabeth Peyton, Pablo Picasso, Ed Ruscha, Mark Tansey, Robert Therrien, and Andy Warhol. In issue 2 experience Douglas Gordon’s film k.364 (2010)through a dual-channel 3-D room, explore the world of Robert Therrien as he transforms elements from everyday life into works of art that evoke mythic archetypes, and trace the evolution of economics over time through key figures identified in Mark Tansey’s EC 101 (2009), viewing fine-grained detail in high resolution with gigapixel zoom and artwork rotator. We also introduce the issue manager, which allows users to store and browse multiple issues at once. Gagosian announces the launch of a free iPad app, designed by award-winning firm RadicalMedia, which offers unprecedented access and takes users on an in-depth journey with Gagosian’s artists and exhibitions, presented through visually stunning, richly informative and innovative features on June 12, 2011. Artists featured in this issue include Richard Avedon, Cecily Brown, John Chamberlain, John Currin, Vera Lutter, Kazimir Malevich, Elizabeth Peyton, Pablo Picasso, Richard Prince, Robert Rauschenberg, and Rudolf Stingel.